There are currently 350 million users on LinkedIn, which makes it the 3rd largest social media network. In the last couple of years I’ve realised that most of the people I know have a LinkedIn profile, but a very small percentage of them are actually aware of how the platform works. We are at a stage where most people jump on to the LinkedIn bandwagon just to ignore the platform. Yes, they will log in every now and then to approve their contact requests, but that is about it. To have a real presence on LinkedIn, you have to spend time on the platform on a regular basis. To create a LinkedIn profile and to then just leave it without doing anything on there is just as good as creating a Twitter profile and spending no time tweeting – absolutely nothing will happen. Add a profile picture. A profile with a photo is 11 times more likely to be viewed. Make sure that your profile picture is appropriate for your industry. If you are an accountant it might be a good idea to stay away from pouting selfies. Summary – Where do you work, why do you love what you’re doing, etc. Experience – Tell your connections what you are currently doing and what jobs you’ve had in the past. This will show visitors to your profile what skillsets you have and in what fields you have experience. Skills & Endorsements – By adding your skills to your profile, you increase the likelihood of being viewed by 13 times. Education – Mention where you studied and what degrees / diplomas / certificates you have. Additional info – This is your opportunity to introduce people to who you are in your personal capacity. Mention what your passions are, what you enjoy doing on your off days, etc. On your right hand side it will give you the option to change your URL. Click on the pen next to your URL and personalise it. Engage with your connections. Go through your timeline on a regular basis to see what your connections are up to. Like their posts, comment on their activity, etc. Build relationships with them! 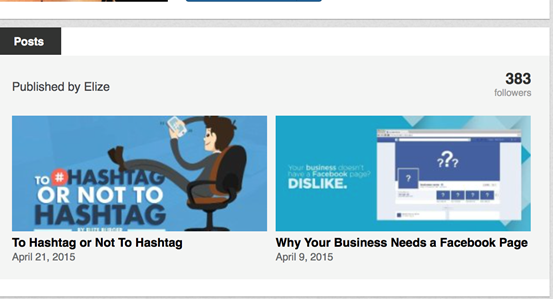 Don’t use hashtags on LinkedIn. Hashtags can be used on Twitter, Facebook and Instagram, but LinkedIn doesn’t have the Hashtag function, so rather leave it for your other social media platforms. Post status updates on LinkedIn. Just as with Facebook and Twitter, you need to post regularly to build a noticeable presence among your connections. Post links to interesting articles, images relevant your industry (view example below), etc. As mentioned above, always make sure that your posts are relevant to your industry and that they are appropriate for a professional social network. 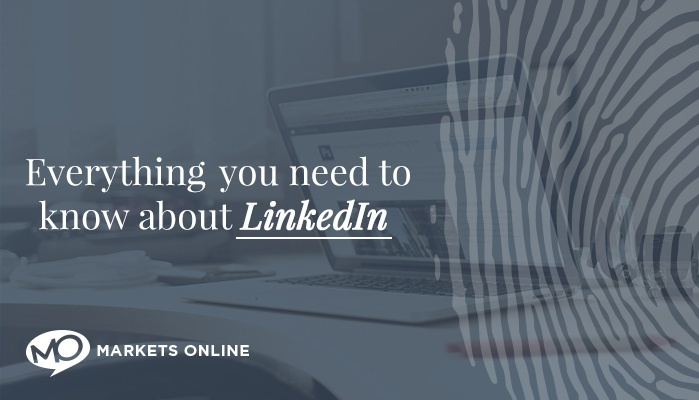 It might take you awhile to get into the swing of things, but having a complete LinkedIn profile and an active presence on the platform can benefit you greatly. Spend time on LinkedIn, test things out and start building your personal professional brand! 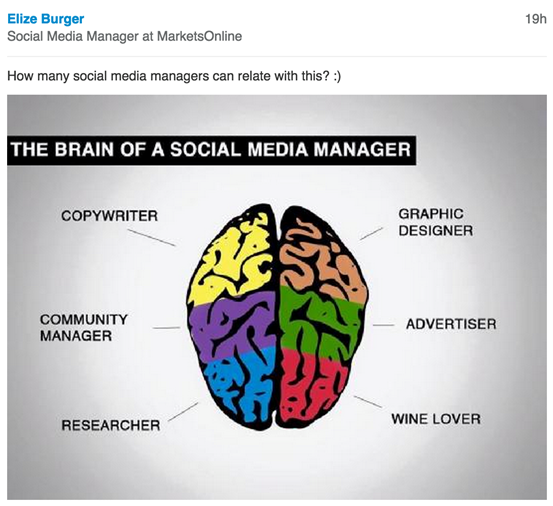 Need to know more about Social Media Management and how it can help your business? Contact Markets Online today!